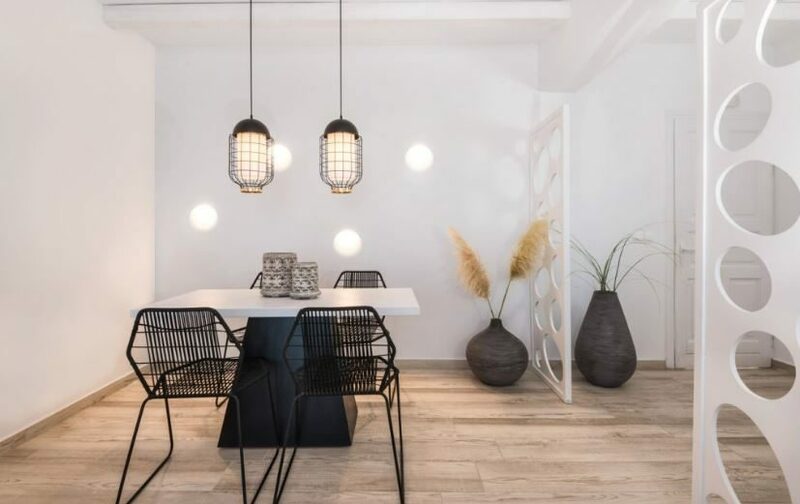 Mediterranean White Hotel is a beautiful boutique-style hotel located in Agia Paraskevi-Kamari just 150m from the famous Black Beach of Santorini. For those seeking luxury guestrooms, tasty Mediterranean cuisine, and relaxing facilities, then look no further than here. Top up your tan by the large pool and immerse yourself in a book whilst relaxing on a lounger. Work out in the fitness centre and reward yourself with a soak in the Jacuzzi afterwards and maybe even treat yourself to a massage treatment or two. Retreat to your modern and airy guestroom where you can enjoy relaxing. Sink into your king size bed whilst watching TV, or enjoy a chilled drink whilst looking out at the beautiful views from your own private balcony. Tuck into a buffet-style American breakfast in the morning and fill-up on snacks during the day. Once the sun sets, take your seat at the main a la carte restaurant where you'll dine in elegant surroundings and feast on Mediterranean cuisine. 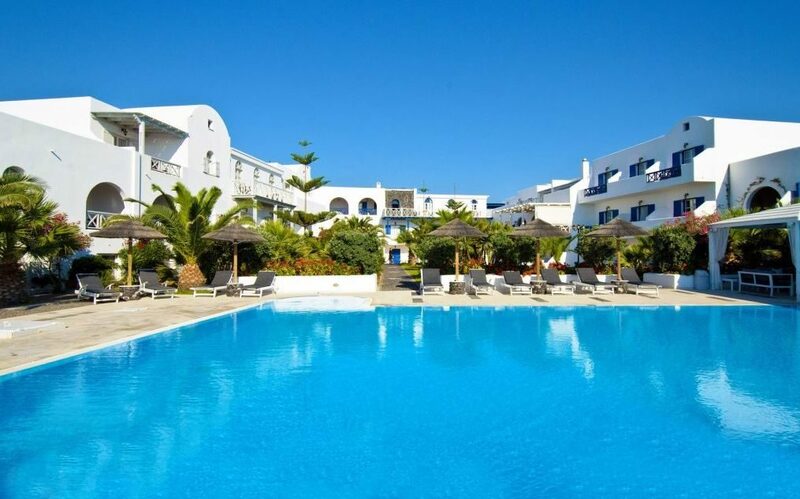 Discover why Mediterranean White Resort is a popular place to stay for Greece holidays. Mediterranean White Resort offers plentiful facilities, including: an adult and children's pool, seven Jacuzzis, main and a la carte restaurant, pool and snack bar, fitness centre, 24-hour reception, concierge service, butler service upon request, car hire, excursions service, massage and well-being treatments, wedding planner service, private guided tours, shuttle service, and complimentary Wi-Fi access in public areas. 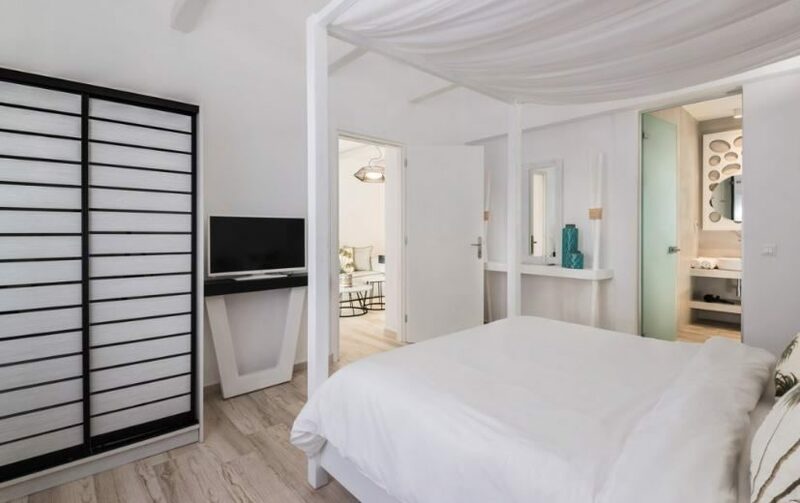 This Santorini hotel has a total of 66 modern guest rooms ranging from Standard, Superior, and Deluxe Rooms as well as Junior, Honeymoon, and The White Suites. 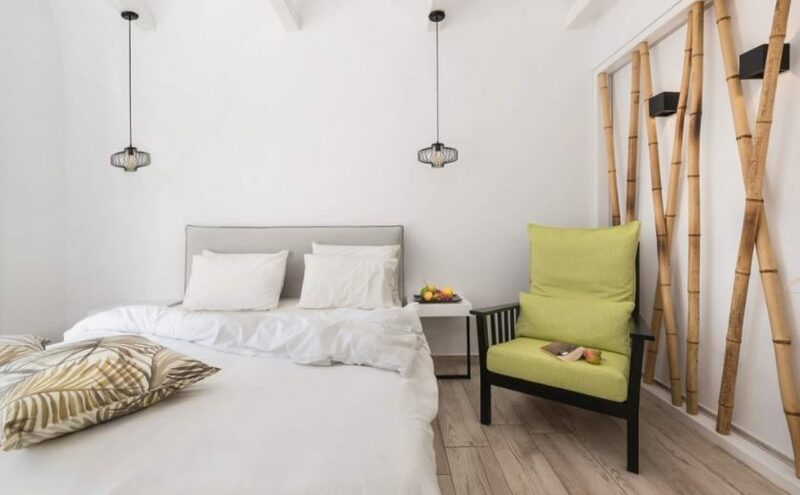 Standard rooms feature a balcony or terrace with garden view, king-size double bed, hairdryer, mini fridge, bathroom with shower or bathtub, satellite TV, and telephone. Mediterranean White features a freshly-made buffet-style American breakfast in the morning, and provides a snack bar during the daytime. In the evening, the restaurant serves a la carte Mediterranean cuisine.